Women have always benefitted from the revitalizing anti-aging effects of Vitamin C for skin since ages. Although Oral supplementation of vitamin C is good for multiple benefits, the skin can only benefit with topical use of serums and creams with higher concentrations of Vitamin C. The concentration in topical products can have 20 times more the effect of oral supplements. There are so many dermatologists raving about vitamin C’s effectiveness for the skin which is for sure why the serums have become so popular. Skin aging is accelerated because of ultraviolet radiations and pollutants in the environment. Vitamin C topical use has shown numerous benefits for the skin as it helps to enhance collagen production. It contains antioxidants that can recover the damage of skin effectively. Vitamin C topical products are known to visibly reduce wrinkles and and fine lines. It has shown improvements in skin tone, tactile roughness, and dullness by making skin brighter and radiant more than ever. Get ready to enjoy a new and youthful skin. Vitamin C serums are also known to improve elasticity of the skin which makes it firm. It can be applied as an all day protection product as it will only protect your skin from damage throughout the day. Skin tears if it stretches too much which needs after care. Also, Vitamin C fights the decrease in collagen so as to reduce the aging signs. This will eventually make the skin elastic and recover from stretch marks. Collagen also prevents skin hardening as it appears to be beneficial for youthful skin. Staying hydrated is good for your skin as it naturally makes the skin brighter, younger, and firmer. However, it is also possible to keep your skin hydrated with the topical use of Vitamin C serums which eventually moisturize it from inside out. 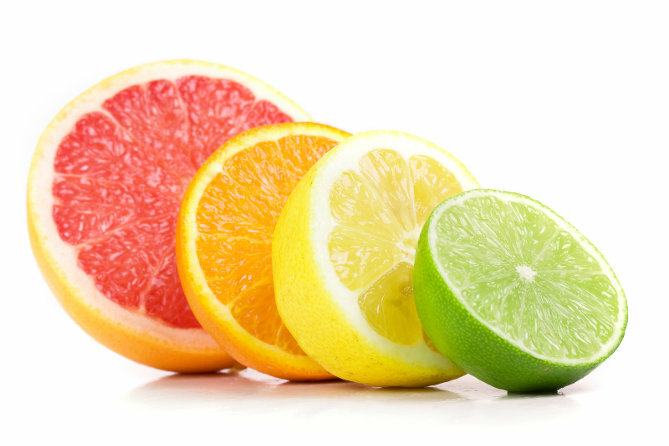 Vitamin C is beneficial for reducing inflammation or redness of the skin. Sensitive skins are prone to face such issues as acne and scars. Exposure to ultraviolet rays may cause damage to your skin. The redness from sunburn results because of the capillaries being filled with blood. Vitamin C is known to quickly heal the redness and other damage that has been done to the skin. Vitamin C serums can remove hyperpigmentation to even out skin tone. Inflammatory breakouts are common faces by women. It should be noted that all Vitamin C serums are not made the same way. Their effectiveness varies in many terms which make them less efficient than their competitors in the market. Choosing the right product is the key to have the right skin care treatment. There are certain things to look for whenever you buy skin care products with Vitamin C such as the form of Vitamin C, concentration, formulation, and its price. All forms of Vitamin C serums are not made with effective stability and absorption properties. The product should always be well formulated and should be able to penetrate into the skin easily. L-ascorbic acid and tetrahexyldecyl ascorbate are believed to be more effective than the other forms of Vitamin C.
The strength of the acid has a great role in determining the effectiveness of the product. 10% L-ascorbic acid is the preferred concentration for Vitamin C product. The best products are known to combine Vitamin E and antioxidants to the formulation to provide the best results. However, some products are also made with 15-20% ascorbic acid concentration. Formulating Vitamin C with other potent ingredients adds up to the efficacy of the product. Therefore, antioxidants and Vitamin E is made a part of its formula. Price of a well-formulated skin care product always goes on the higher side. However, the price factor may not always be used to determine how effective a product actually is in terms of stability and bioavailability. Dermatologists and skincare experts may help you guide in choosing the right product. You should be able to choose the best product for your skin care purpose keeping all essential factors in mind. It is advised to do a patch test before applying the product as it may not suit your skin sometimes and cause redness, irritation, or breakouts. 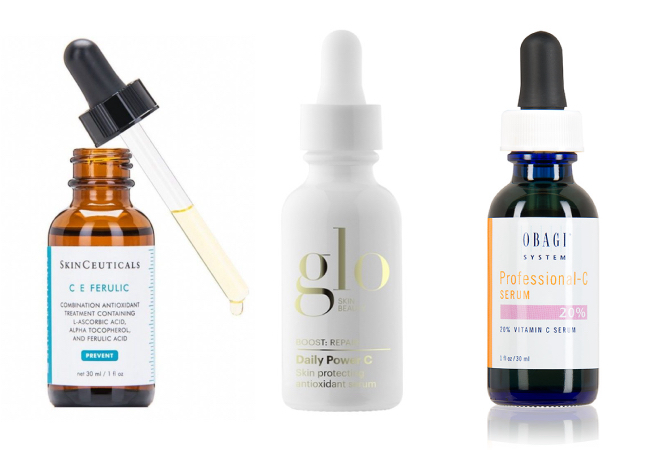 Here are the best Vitamin C Serums to choose from all those available in the market. Having Vitamins C and E in the formulation, this product works for age reversing and UV damage recover for the skin. The specialty of the product is that it can be used for all-day protection as it will fight radicals and premature aging. Get it from Amazon here. This serum is known to have the highest ascorbic acid concentration and has the ability to penetrate well into the skin. The manufacturing company, Obagi makes it even more special as they are recognized as a leader of the skin care industry. This one is dermatologist’s favorite and you may now know why it is so. Buy it from Amazon here. This serum has all the properties of Vitamin C products such as brightening the skin, anti-aging, and enhancing collagen production. The serum has a special feature to retain moisture effectively for longer periods of time. It contains 6 ingredients in total and offers you the best results possible by revitalizing your skin. Buy it from Amazon here. This is a bestseller Vitamin C serum with 15% ascorbic acid concentration. It features Vitamin E and ferulic acid which make it a boost of antioxidants. Get it from Amazon here. This serum has a boost of essential organic foods like kale, broccoli, and spinach. This blend of nutritious foods repairs and protects the skin effectively. This is suitable for those having sensitive skin type as it fights inflammation and resulting acne because of it. It is a blend of various botanicals to ease inflammation and redness of the skin. Buy it from Amazon here. This serum comes from kakaduplums which are a highly concentrated source of Vitamin C. It also contains vitamin E and ferulic acid as powerful antioxidants. The serum is tested by dermatologists and is safe for use. It does not contain additives, color, or fragrance to irritate the skin in any way. Buy it from Amazon. The serum contains 15% of Vitamin C concentration along with Vitamin E to make skin brighter. The signs of aging will soon diminish with the product’s use as it is infused with hyaluronic acid. This is an anti-aging serum with a boost of Vitamin C and other vitamins for the nourishment of the skin. The professional strength of the product makes it compatible for topical use. Get it from Amazon here. 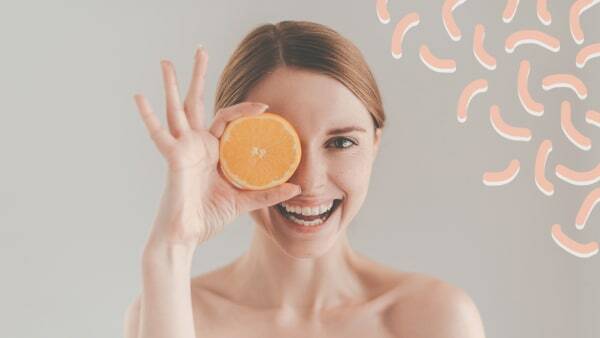 Potent ingredients such as stem cell, hyaluronic acid, and glutathione add up to the properties of vitamin C. All of them combine to reduce wrinkles while strengthening the skin. It is suitable for use on sensitive skin as well. Check it out on Amazon here. This is a good choice to bring back glow on your face. It contains 10% ascorbic acid with Vitamin E to give the best results for even skin tone and reduces fine lines. Buy it from Amazon here. This serum is good for the skin care fanatics out there as it also has exfoliation properties to remove dead cells first. Check it on Amazon. The brand has now added the super hydrating agent to its formula known as hyaluronic acid. It also contains vitamin C in higher concentration to deliver better and faster results in terms of glowing and youthful skin. Amazon here. The serum contains 15% of ascorbic acid concentration and is proven useful for improving skin tone and dullness. The potent formula containing nutrition and antioxidants for the skin revitalizes, brightens, tightens, and moisturizes the skin. Check it out on Amazon. The serum is good for boosting collagen production as it says goodbye to wrinkles and fine lines. It contains glycerin and hyaluronic acid which play their role in soothing skin and protecting it from radical damage. Buy it from Amazon here. 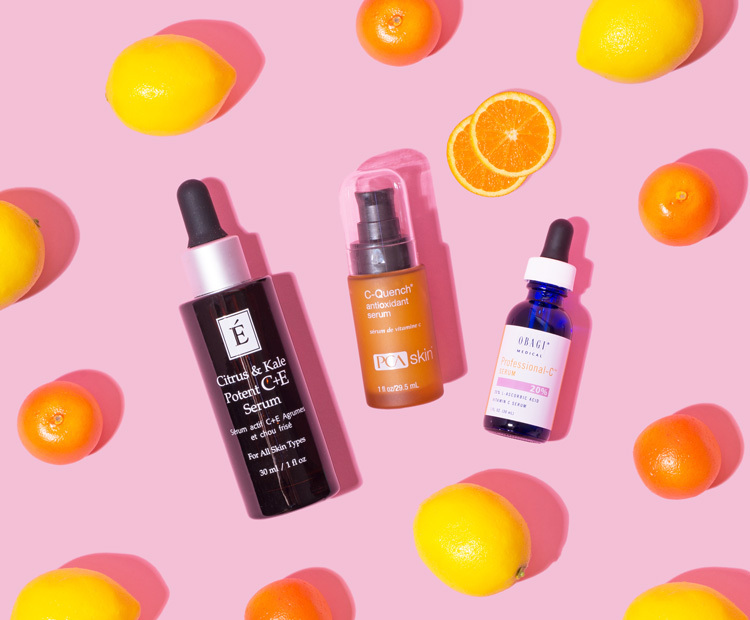 How to Use Vitamin C Serums? Make sure that the product has not turned brown in color which usually means that the serum is oxidized and not suitable for facial use. Tryto exfoliate your skin to rub off the dead cells so that the serum penetrates better into it having best results. Allow the serum on your face for about 2 or 5 minutes to maximize its effects. ApplyVitamin C serums daily to get the best results out of the product for skin. Vitamin C serums are a great way of boosting your skin health. It helps you remove blemishes, acne, scars, double toned skin, and hyperpigmentation. However, you should be consistent with applying the serum to get the best possible results. Vitamin C is an overall cure for skin care as it works in different areas which eventually result in a youthful better-looking skin. You feel fresh when you look good which is a good thing overall. All the serums concentrated with Vitamin C are meant for good skin care out of which you may choose your preferred one. The products have similar benefits with some varying features depending on the requirements.